Life always seems to fly by at such a crazy pace. The days pass by in a blur, moments go unnoticed, and often it feels like I didn’t take time to enjoy what the day had to offer. Moments of happiness, joy, contentment, and laughter can be found in each day, but we have to make time for them-something I fail to do too often. Starting today I’m making a point to set aside a few moments each day to celebrate something to be happy about for the next 100 days. 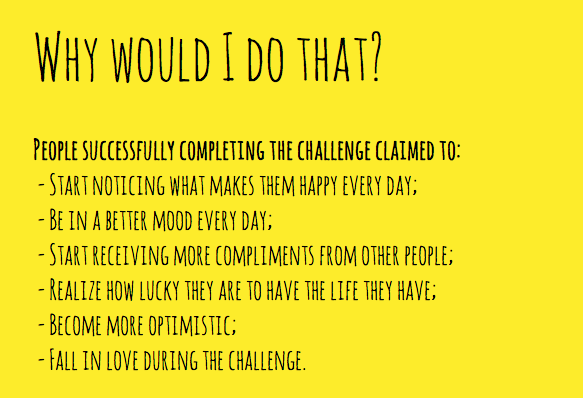 The 100 Happy Days Challenge will not always be easy. Some days are filled with happy moments while others can be overlooked. Some days it is easy to forget all the good things we have in our lives. The advantages to taking on this challenge are numerous, and we could all use a little slowing down and smelling the roses. Running also has many mental facets and challenges. Training the mind to see things in a more positive way can benefit you on your next difficult run, speed session, or bonked race. 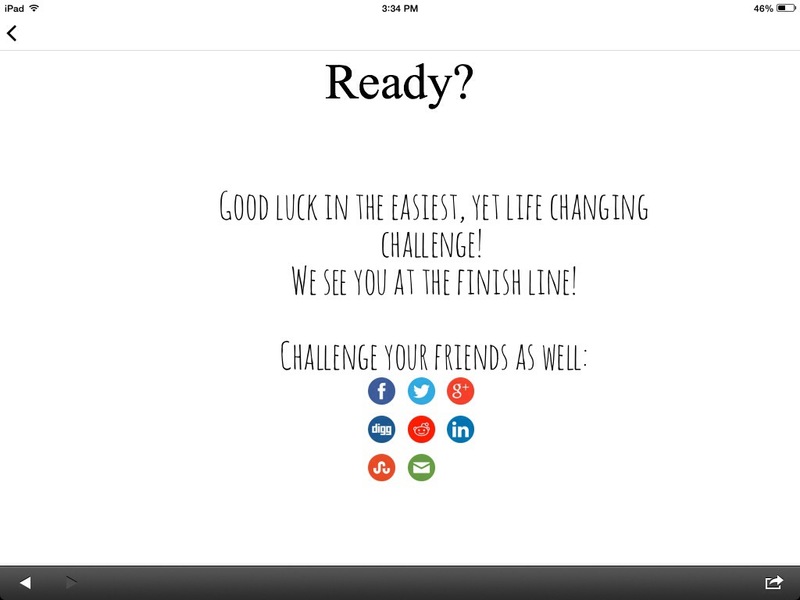 Join me in my 100 day happy challenge! 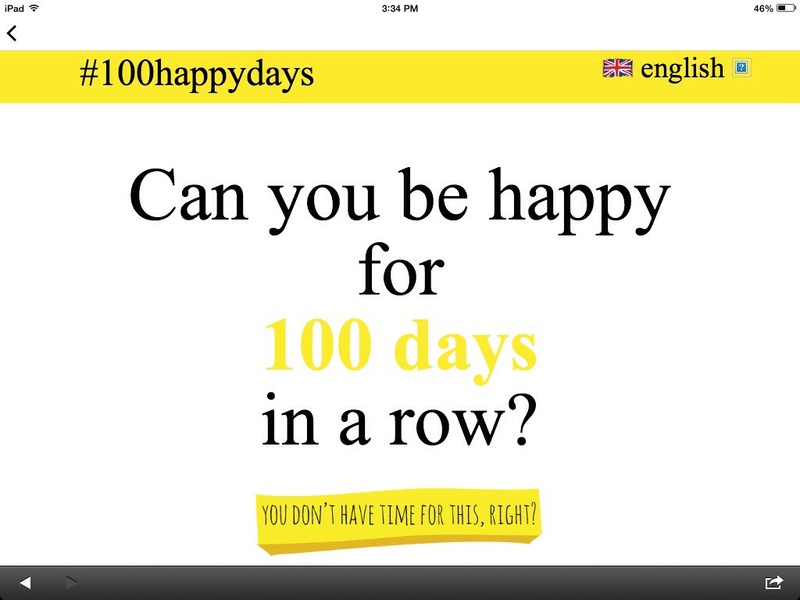 You can follow my 100 days of happy on Instagram (#100happydays), too. What do you have to lose? Great post! I have actually started a 365 memory box. I came across the idea from another blogger. Everyday I write down a happy moment from the day. If I had a bad day, I don’t focus on the negativity but I write down 3 things that I am thankful/happy for. It always puts me in a better mood! I agree. Just trying to focus on the little positives everyday helps me think in a more positive mood throughout the day and in other situations! Thanks for the nomination, Jana! I love finding new blogs to read and and “meeting” other bloggers-this is a great way to do this!